PKR has kept it in the family with the its latest addition to its pro ranks. 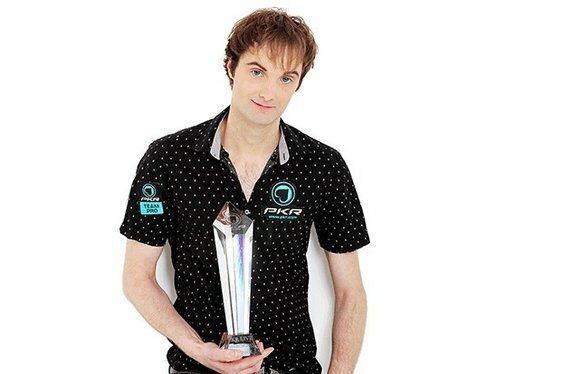 The 3D online poker room has just signed the winner of its recent PKR Live event, Dan O'Callaghan. The 27-year-old from Hartlepool pocketed £19,000 after winning at Aspers Casino in London last month after finishing second in the 2014 event. "I'm as thrilled as I am flattered to be asked to become part of the team. Just as people dream of playing for their favourite football team, I wanted to be a part of Team Pro when I joined PKR,” said O'Callaghan, who plays online as 'danshreddies'. “Sascha Walter first encouraged me to study the theory of the game in 2012, while Sofia Lovgren and Simon Hemsworth were fantastic in offering honest advice and feedback on some of my strategy articles. “It's an honour to follow in their footsteps, I'm really blown away! I just hope I can repay PKR's faith by stepping up to the plate and delivering. Fingers crossed for a heater!" O'Callaghan will join the likes of Patty "BabyTes" Beaumier and WPT500 champ Eleanor "Elz442" Gudger in sporting the PKR patch. Join them online at PKR.com and get a free £10 as well as free entry to the $10,000 Vegas Experience Giveaway.